How to wrap the axis labels? This article describes how to wrap the axis labels content. 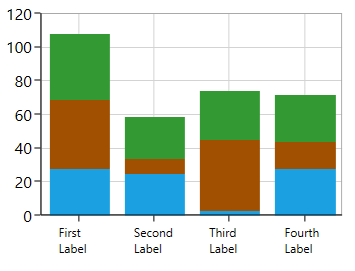 Wrapping the axis labels can be achieved by customizing the LabelTemplate property of chart axis. The following screenshot illustrates the axis labels wrapping.